Following the successful release of Ill-Gotten Gains Update Part 1, Rockstar Games today announced the final installment of this update series as the Grand Theft Auto Online community welcomes the release of Ill-Gotten Gains Part 2. The update is now available across all 5 platforms, introducing the finer things in life as new vehicles, clothing, weapons and accessories make an appearance. The update, 1.28, also includes other improvements and enhancements to the game. 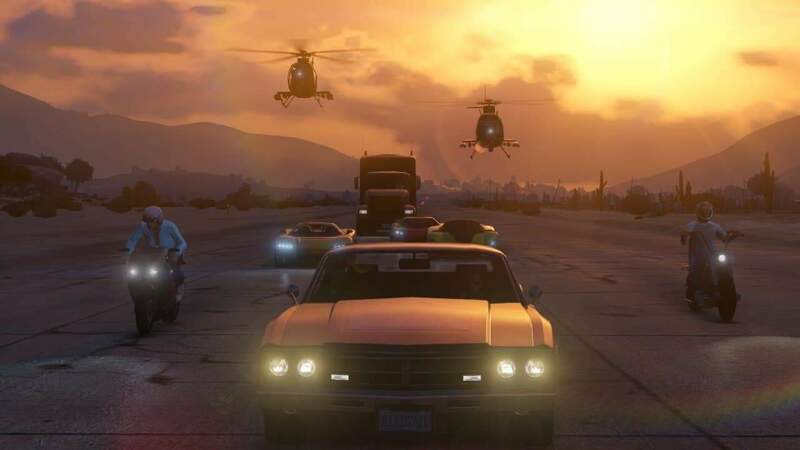 Among the more popular aspects of the update are the updates to the creative elements of the game that will now allow the community to create new jobs at the Los Santos International Airport and Fort Zancudo Military Base. There’s also been improvements to loading times for in-game leaderboard screens, although it doesn’t appear to help those that still find themselves stuck in cloud simulator. For a full list of contents and fixes in the latest update for Grand Theft Auto Online, check out the official patch notes.